A slow Mac performance is one of the most common complaints by MacBook Air users. Even though macOS X is widely considered to be smoother, faster and much simpler to operate than Windows OS, it still requires the maintenance to keep it running optimally. One of the main reasons why many people complain about their MacBook slowing down is that files and applications take up too much space on the hard drive. The general rule of thumb with Macs is that the more stuff you have on the disk, the slower it becomes. Plus, naughty third-party apps may also bog down system resources. So, the first step should be to clean things up. In the MacBook Air, the startup disk is a volume of the drive, which contains mainly macOS system files. Each Mac or Mac Book Air consists of more than one partition. Each one of the partitions stores data for your Mac, which includes things like OS files and applications. However, the vast majority of Mac users may have one disk, but power users tend to have more. A Mac, which has more than one disk, will have the storage between them divided. The primary drive will have the OS’s start up disk while the other may store files. Even though multiple start up disks are possible, but the majority will rely on one. When the startup disk is full, you will receive a message warning you about the space left. Which obviously means you need to start clearing things up to make more room. Delete all the unused files from your computer. Move large files to an external data storage device or the cloud. Click on Finder near the Apple logo at the top. What you should see is a list of drives on the Mac that can be “startup” because they have the operating system files on them. Click on the ‘Apple Icon’ in the menu on the left of the screen. Then under OS X, you’ll see the version number. Match the version number you see to the one listed on the drive from the previous steps. The one with the matching number is the start up disk. Click the Apple Icon in the menu on the top left. Here you should see a list of the total storage and the amount of free space. You can also see which files are taking up the most space. Once you’ve identified it, just delete or move it to another drive. Remove all the localization files, which are not for your language. This can free up around 2GB. Delete images from iPhoto or Photos app that you don’t need anymore. Also, empty the app’s own dedicated trash. Launch iTunes to delete all the podcasts and music no longer needed. Clean or delete all the old messages in Mail. Head over to ~/Library/Caches/. Here you should delete any and all files related to applications you don’t have installed. Do the same for ~/Library/Preferences/. Delete the Icons folder in ~/Library/Safari/. Finally, if all else fails, the one last thing you have to do is to format your hard drive and reinstall MacOS. However, this method will require that you backup all important files, then execute a format command. That will be followed by going through the process of reinstalling everything. It is the best last resort for users who are plagued by viruses, rogue apps, and other issues. 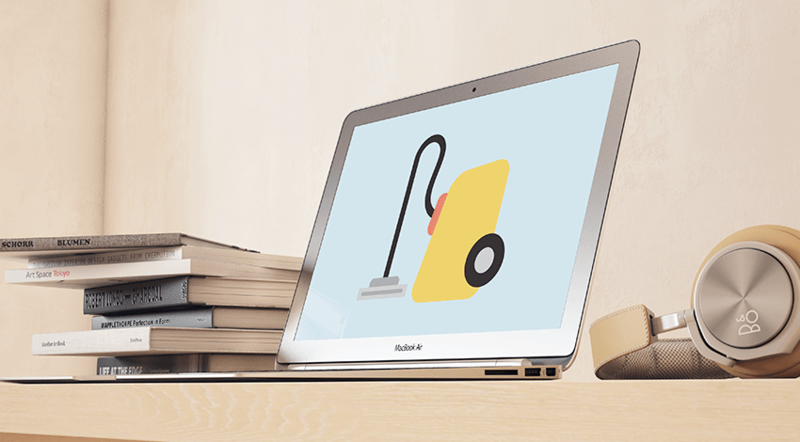 If you’re not so much enthusiastic about performing all these tasks manually, you can always opt to use a third-party hard drive cleaning application. There are plenty of them available in the market. The reason for this is that they make the process of cleaning junk from your computer and freeing up space much easier. 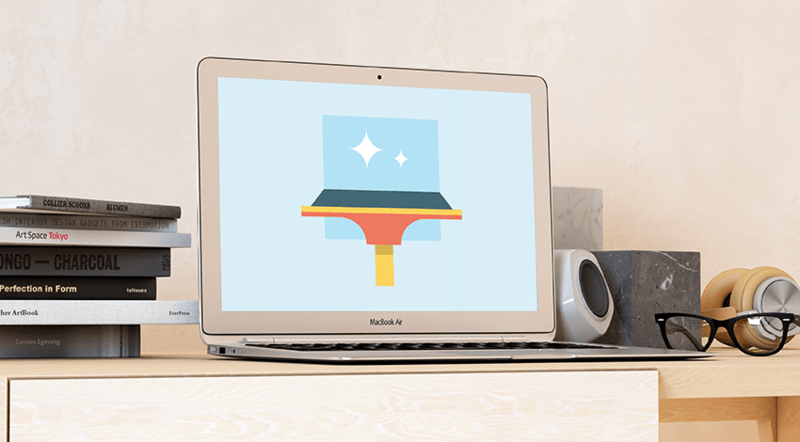 With a click of a button and following a couple of prompts, you can enjoy lots of free space. The vast majority of such applications is cheap, but they may save you hours and prevent loss of productivity owing to space issues. The macOS is perhaps one of the most advanced operating systems. However, even a masterpiece like the MacBook Air tends to run slow after a while. So planning for and knowing what to do in this circumstance can help you a great deal. Always keep an eye on your disk space and don’t wait until you get the error messages because it would mean that at some point you didn’t do the job of keeping your Mac Book Air in good shape.